On this tour you visit two diffe rent wineries, one of which is ancient, with a long family history and the second, a state-of-the-art emerging boutique organic producer. In each winery you experience a guided tasting of three fine, red and white, wines, accompanied by a snack of local gastronomic specialties. In the second winery you will enjoy a light lunch with a local, traditional menu: starter followed by a typical Roman pasta dish, followed by selected cheese and salami. 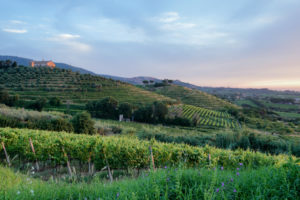 You will learn about the history of one of the oldest wine producing areas in Italy, its terroir and how wine is made. Indigenous and international varieties will be tasted. Our tour starts in an ancient winery where you will discover the history of this wonderful area, wine- making techniques and be guided by our sommelier through the tasting of three fine wines. From here we move on to the quaint village of Monte Compatri for lunch in our favourite trattoria. After lunch we drive through Tusculum, stopping for some great panoramic photos. Hear about battles and legends, towards Nemi, overlooking its own lake, famous for the wild strawberries. Experience a day away from the crowds in the Castelli Romani countryside in a one-of-its-kind organic herb farm where you can learn the secrets of olive oil, or “liquid gold” as the Italians call this fundamental ingredient of the healthy Mediterranean diet. Good for your body inside and out, learn to prepare your own scented olive oil soap. Light lunch with products from the farm’s vegetable garden including wine. The starting point for our trek is the beautiful town of Frascati, which has the best panoramic views of Rome; a wealth of beautiful historic villas, characteristic alleyways and homeland of the famous white Frascati DOCG wine. 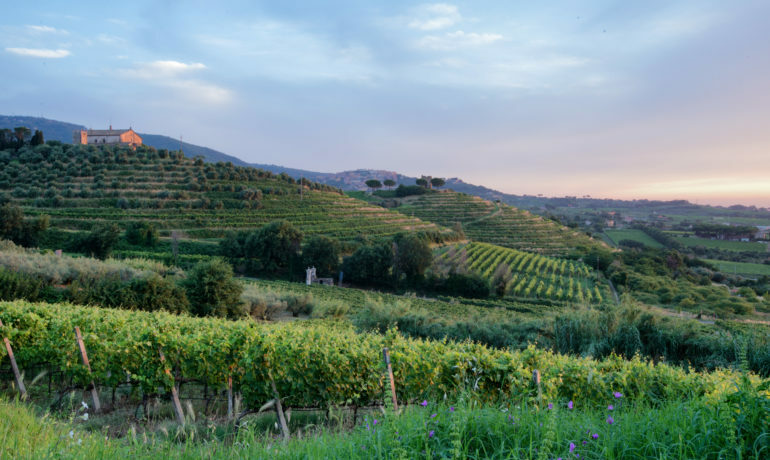 From here we walk amongst woods and vineyards to reach the remains of the ancient and important pre-Roman city of Tusculum, offering even more breathtaking panoramic views. Further on we reach the village of Monte Porzio Catone, a place of culture, good food and wine where we enjoy lunch of typical recipes and local wines in a characteristic “geologic tavern”, excavated right in the volcanic rock. After lunch we return to Frascati railway station.